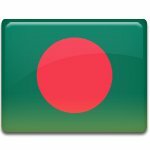 Victory Day is a public holiday in Bangladesh, that is celebrated every year on December 16. Various events are organized across the country to celebrate the end of the Bangladesh Liberation War in 1971. The Bangladesh Liberation War was a military conflict between East and West Pakistan. The conflict lasted from March 26 to December 16, 1971. The day when the war ended is considered to be the day when Bangladesh officially became a sovereign state. The state of Bangla Desh was proclaimed (later two words were reduced to the current name of the state) and within several months many member-states of the UN recognized its independence. Victory Day is celebrated in Bangladesh since 1972. Traditionally a grand military parade is organized by show the glory of the Bangladesh Armed Forces. Ceremonial meetings, speeches, lectures and receptions also take place. The streets of the cities are decorated with the national flags and people enjoy cultural events, fireworks, watch special programs broadcast by TV and sing patriotic songs.